You and the trustee assigned to oversee your petition attend the 341 hearing. If you have an attorney, she, but not the judge, attends the hearing. The creditors listed on your bankruptcy petition are also invited to attend. During the hearing, the trustee requires you to confirm details on your bankruptcy petition under oath. 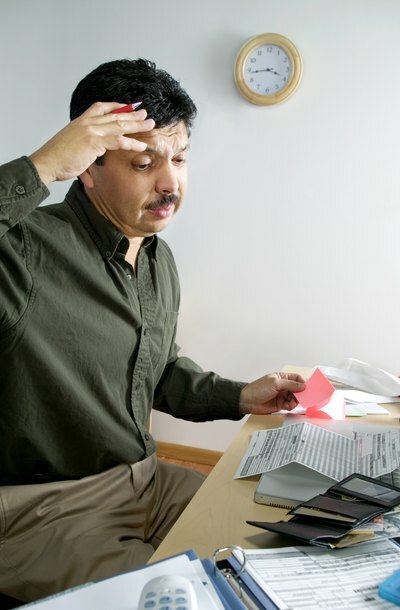 Your creditors may ask you specific questions about your financial obligations to them. You must attend the 341 hearing whether you file a Chapter 7 or a Chapter 13 bankruptcy petition. Each petitioner must bring government-issued photo identification to the meeting. Some trustees also request copies of your most recent pay stubs, or projected income and expense statements if you are self-employed. A trustee also may issue a separate questionnaire that includes questions about your income, assets and household composition to be completed before the 341 hearing. Other required documentation includes bank statements and copies of tax returns for the past two years. Depending on the trustee's instructions, you must either send your documentation before the meeting or take it with you. If you have been honest about the information included in your bankruptcy petition, you should have no problem answering the questions that come up at your 341 hearing. Typically, after you have been sworn in, the trustee asks if you have read the petition and inquires whether it represents a true and accurate statement of your financial circumstances. The trustee also asks if there have been significant changes to your financial situation since you filed the petition and asks about your real estate holdings, if any. Generally speaking, creditors rarely attend 341 hearings, because there is very little that they can do to prevent a bankruptcy from moving forward. You, however, must attend the meeting. If you file a joint petition with your spouse, with rare exceptions, both spouses must appear at the hearing. If you fail to show up without a valid reason, such as a genuine emergency, the trustee may dismiss your bankruptcy petition. Morse and Associates, LLC: 341 Hearing -- What Is It? Bankruptcy is a legal process intended to give debtors a fresh financial start. When an individual files bankruptcy, creditors have opportunity to present proof of claim of money owed to them. The bankruptcy trustee and the debtor and creditors either settle the claims with the assets available, or present them for litigation before the bankruptcy court. Once the claims are resolved, the court discharges all remaining debts and the debtor can start anew.